Click the button below to add the Excellent Quality Barber Chair #BS-SH-31803 to your wish list. Sale on a great Chair with a minimum order of 6 Chairs! The bulk pricing discount is on the freight, if you would like an accurate freight quote please contact us with your shipping address and quantity. 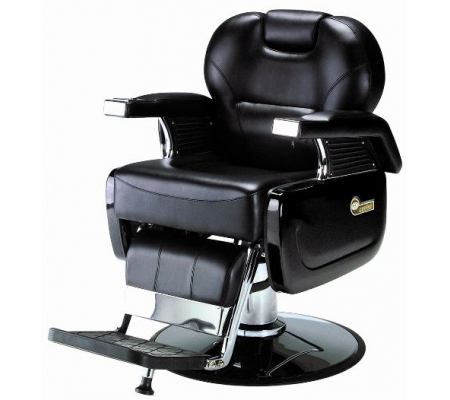 This roomy and luxurious chair is a top of the line barber chair. It is classic in it's design but will fit any decor well. It is a sturdy and well constructed chair and it has a round chrome base and hydraulic pump with an adjustable headrest. The footrest will adjust as the back of the chair reclines. This chair is top of the line.